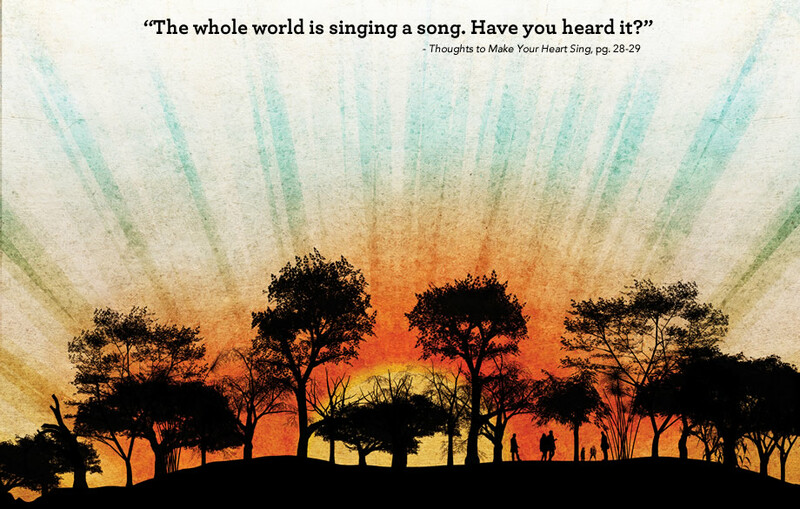 Thoughts to Make Your Heart Sing! I have very exciting news children’s award winning author Sally Lloyd-Jones has written a new book Thoughts to Make Your Heart Sing – we are so excited to read this new book. She is one of our favourite authors for children. Her previous book also illustrated by JAGO The Jesus Storybook Bible: Every Story Whispers His Name is my eldest daughter’s favourite book of all time! We have read it so many times the binding is starting to give – which says alot because the book is so well made. We even bought the deluxe edition so that we have the book on CD and listen to it in the car. I frequently catch my daughter telling her brother stories and answering his faith questions with quotes from the Jesus Story Book Bible. We have given so many of these books away as gifts too! This book is well illustrated and so beautifully written you can’t wait to read the next story. It is a written starting with creation showing God’s plan of love for his people and weaving and revealing his plan of salvation through the old and new Testament. It is written for children but every adult who reads this book grows spiritually too! My husband and I would update each other on the stories we missed as we were rotating books at bedtime when we first started to read the book! We just didn’t want to miss out on the journey through this amazing book. You can see my previous post on this book here! So when I heard an interview on the radio with Sally Lloyd-Jones yesterday answering questions about her new book I was so ecstatic that I per-ordered Thoughts to Make Your Heart Sing today for a Christmas gift for the kids. She wrote this book as her niece was being bullied at school and she thought if only her niece knew how much she was loved by her heavenly father it would make all the difference. Then she decided I will write a book with stories to tell her just this and so her beautiful book was written!